Have You File Your PriorTax? Get Started For Free With Your PriorTax. PriorYearTax.net is a team of experienced PriorTax professionals working to provide accurate, premium online self-tax preparation service for our customers. We are committed to your satisfaction. Once you have entered your tax information our prior tax software goes to work for you. 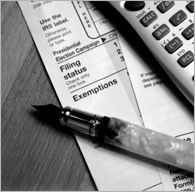 It makes sure that you get all the appropriate prior tax deductions and credits that you´re entitled too.